The Douglas sisters, beauties all, are valuable pawns in their family's bitter struggle to control the Scottish Crown. But when their enemies strike, each Douglas lass will find she’s been left to face them alone. Lady Sybil Douglas’s fall from court favorite to royal enemy is swift after her brothers are charged with treason and flee Scotland. When a strange Highland warrior appears claiming they are bound by a marriage contract, she’s desperate enough to ride off with him. She’ll worry later about how to escape the wedding. The last thing Rory MacKenzie needs is a pampered Lowlander wife. He traveled to Edinburgh in the hope of dissolving the ill-begotten marriage contract. But now that the Douglas men have endangered and abandoned his would-be bride, he’s honor-bound to protect her. Sybil and Rory fight scorching passion and other dangers on their journey to the MacKenzie castle, where murder and intrigue await them. When everything is at risk, will they trust each other and their unexpected love? 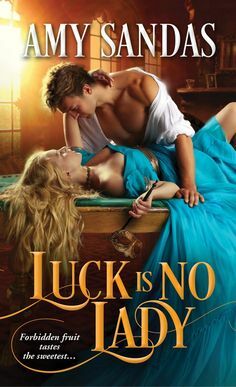 Claimed By A Highlander is the second book in the trilogy, and I have to say that every time I pick up this author, I am always amazed in how much I enjoy her writing and she never disappoints, and she certainly doesn’t with this one. This story sets off with our heroine, whose brothers have been declared traitors to the crown, and her life is in danger. She needs help to escape, so she can find safe haven. She is startled when a highland warrior comes to her claiming that they are betrothed due to a contract that one of her brothers set up years previous. She knows secretly that the contract is not valid, however, she is in need of this highlander’s aid, so she accepts. Sybil is used to living in the city, among the courtiers and she has never been to the Highlands and she knows she will be pushed to her limits, but Sybil is more than willing to take on any challenge especially with Rory by her side. Rory MacKenzie had come down to Edinburg, to try to get this marriage contract dissolved, but when he learns that Sybil is in danger and that her brothers deserted her to protect their own skins, he can’t abandon her as well. So he decides to take her with him and accept the marriage contract. He knows that Sybil is a lowlander and many of his people wouldn’t accept it kindly, but he senses something more about this young woman that only endears him even more. When there is a plot hatching, his brother being murdered, his sister has disappeared, and his uncle out to be the Laird of the MacKenzie clan, he knows that it is his birthright to claim Lairdship but he will have a fight on his hands especially with a lowlander for his bride. But Sybil, she may be a lowlander and spent all of her time in court, however, she is a fighter and when she realizes that she loves her husband and refuses to let him down, she fights for them both. I was so IMPRESSED with this story, and man, the narrator was brilliant. It is so rare for me to fall so hard for a male narrator, but honestly, he did the accents and inflections so well…so I will definitely be looking for more audiobooks narrated by this man. This story was so intense and the historical details were so well done, although why I am surprised…because Margaret Mallory does her research so well and she really knows her time eras and the Scottish culture especially in the difference between the Highlanders and the Lowlanders in Scotland. “Like what?” he asked, though he knew damned well what she meant. The romance that develops between these two is both tender and hot!! I mean honestly, the scenes themselves aren’t anything super explicit or anything, but the way that they are written just pull you in. I loved the sexual tension between these two, and you definitely see how much they care for each other in the beginning. And seeing them learn to rely on each other through the rough times ahead, really add a unique intimacy between them. And yes, they are both so stubborn and prideful, but I really appreciated that their love is what holds them together and how it makes it so they refuse to give up on each other even when lies and secrets come between them. Sybil could not breathe, let alone form the words to object. When she moistened her lips with her tongue, she felt his heartbeat leap beneath her palm. Her gaze fixed on his mouth as he drew her to him ever so slowly. She had expected a sweet, teasing kiss, not this explosion of passion that seared through her body at the first touch of their lips. No one had ever kissed her like this before, as if he would die if he could not have his mouth on hers. With a will of their own, her arms wound around his neck and her fingers tangled in his long, thick hair as she pulled him closer. She was lost in the sensations and long past thought. As his kisses slowly changed from feverish to tender, she felt as if she were floating. She wanted this to go on forever. When Rory pulled away, she stared up at him, stunned. So honestly….what did I think of it???!!! BRILLIANTLY WRITTEN…..CAPTIVATING ROMANCE and characters that tug at your heartstrings!!! Grab this author up and you won’t regret it…I promise!! MARGARET MALLORY surprised her friends & family by abandoning her legal career to write tales of romance & adventure. At long last, she can satisfy her passion for justice by punishing the bad & rewarding the worthy--in the pages of her novels. Margaret lives in the beautiful Pacific Northwest with her husband, goofy dog & crabby cat. With her two children off to college, Margaret spends most of her time working on her next Scottish historical romance. Visit her website for Book Group Discussion Questions, photos of Scotland, excerpts, & other info. Margaret loves to hear from readers!